I feel very lucky living in Tunbridge Wells. Heading north on the train, it is only an hour into central London for the amazing range of cultural and social activities on offer. 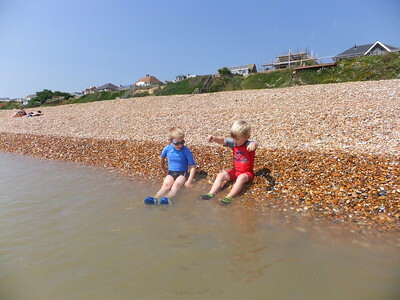 Heading south in the car for an hour and we can reach the beautiful beaches that pepper the south coast with a mixture of sandy, shingle and rocky playgrounds. In no partulcar order, I've listed five of my favourite seaside day trips; trips that I have made again and again since childhood. 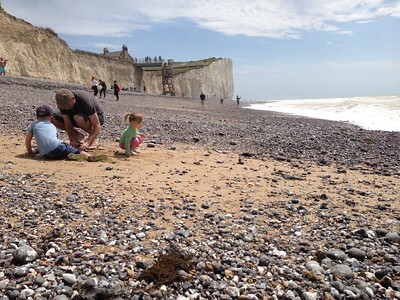 Just over an hour from Central Tunbridge Wells, Birling Gap offers a slightly different beach experience to the normal buckets and spades trip. 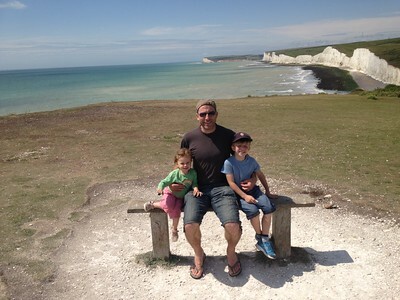 The chalk cliffs of the Seven Sisters reach from Seaford to Eastbourne and between them lies Birling Gap. There is a National Trust car park at the top of the cliff and the beach itself is accessed via a metal staircase. 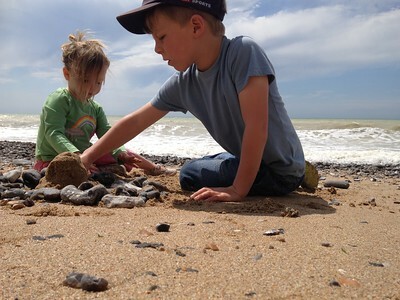 Once on the beach, there is ample opportunity for rock pooling and fossil hunting whilst enjoying your picnic. NOTES: not great for families with buggies. 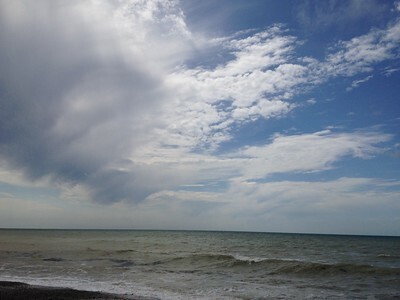 Just under an hour from Central Tunbridge Wells, Bexhill holds a special place in my heart. My great grandparents retired to Bexhill, so it was a place we visited regularly in my childhood and the seaside there holds lovely memories for me. 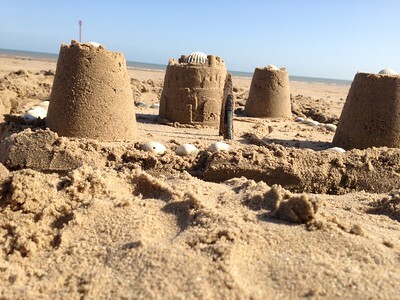 If you hate getting sandy, Bexhill is for you! 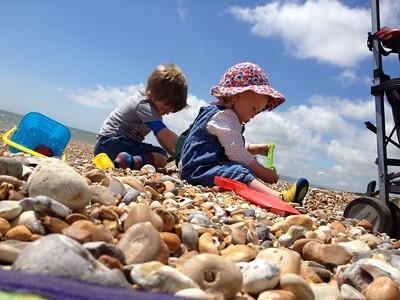 When the tide is in, plenty of shingle beach is available to set up your picnic and play games, but when the tide is out, the wet sandy beach is revealed in all its’ glory for soft, barefoot walks and great sandcastle building opportunities. If your kids tire of the beach, in the middle of town is the fabulous Egerton Park which has a great playground to provide a change of scene if needed. 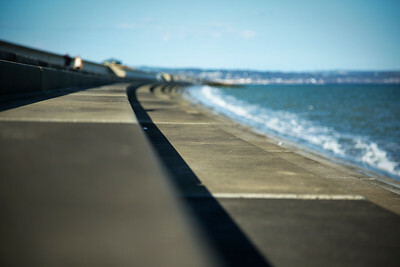 NOTES: You are able to park on West Parade that runs along the main beach front, however, I recommend you park further up the beach on South Cliff road and walk down the path to the quieter end of the beach opposite the end of Pages Avenue. Sand, sand and more glorious sand! 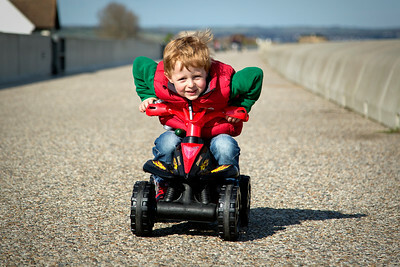 Camber is a 2 mile stretch of golden sand running from Rye to Jurys Gap towards Dungerness. In the winter, it is a desert of wide open space, great for walks, kite surfing and fresh air; on a sunny weekend in the height of summer crowds pile down to the seaside and yet still there is so much space you can feel as though the beach is your own (note – you have to walk quite far down the beach to get to the quieter end!). 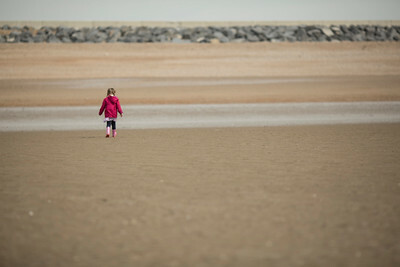 If the tide is in, there is very little beach in some areas, however, when the tide is out, it is FAR OUT! 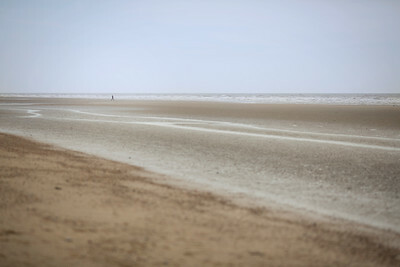 The beach stretches away for around 100 meters. NOTES: Traffic and car parking can be a NIGHTMARE. If approaching from the West, stay away from the Western Car Park and instead head further along Lydd Road to the nameless car park where The Kitesurf Centre is located. At time of publication, this car park is free. 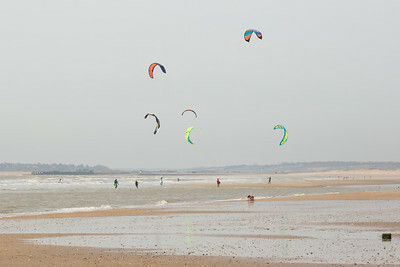 It can be VERY windy – bring a kite and a windbreak. Check the tide times in advance. 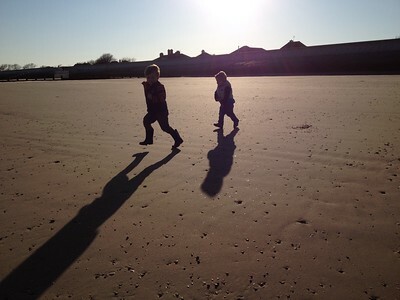 Located between Dungerness and Folkestone, Dymchurch offers 4 miles of seawall seafront, great for walking with buggies or cycling/scooting with small children. 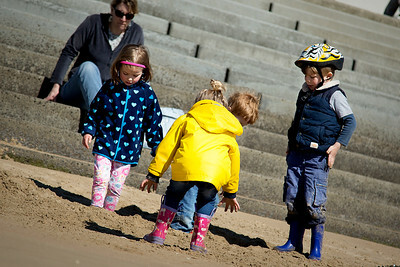 The beach itself is wet sand providing great sand castle building opportunities. 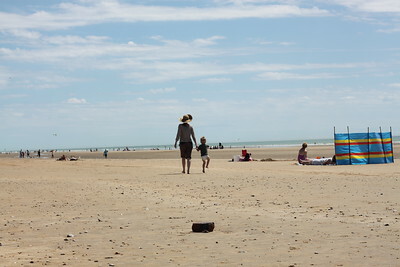 In the center of the village, you will find Dymchurch Amusement Park which offers a distraction for the young ones if the weather isn’t great and there are a number of cafes and bars, as well as a small Tescos, if you don’t feel like catering yourself. NOTES: when visiting the amusement park, buy tokens from the central kiosk to go on the rides. 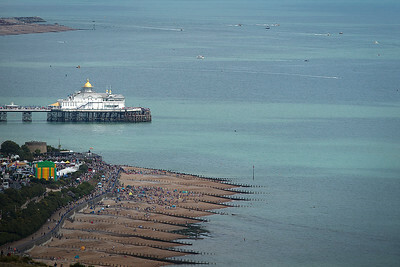 I have to admit I haven’t actually spent that much time on the beach at Eastbourne! However, I have visited the pier and taken a ride on the cute road train which takes you from one end of town to the other. 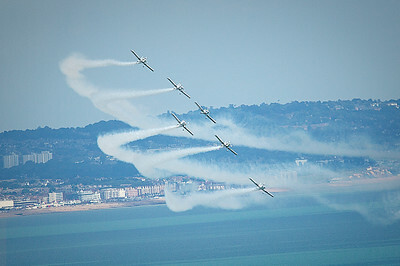 The event that put Eastbourne on my radar is the Air Show which takes place in August each year. 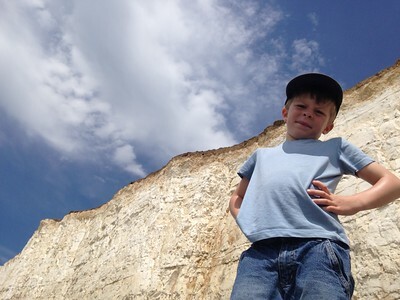 You can sit up on the headland at Beachy Head and look down over the seafront. 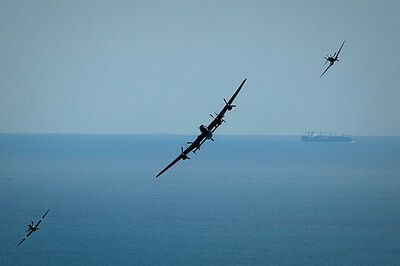 When the planes approach they either come from inland behind you or along the headland pretty much at your height so you can watch the amazing aerial displays which go on without craning your neck! 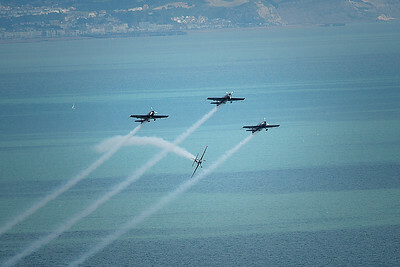 We parked at the main Beachy Head car park, crossed over the road and walked down the hill to set up our picnic on the grass and enjoyed an amazing afternoon of aerial acrobatics. NOTES: not great for families with crawling or toddling children.